The CASW weather-resistant operating case houses your entire system and allows you to operate the system while it is safely inside. The CASW weather-resistant operating case provides indoor/outdoor flexibility. 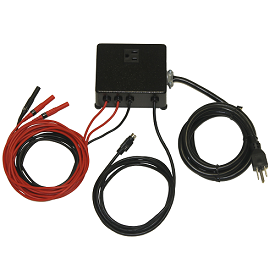 One of the prime benefits of PowerSight is its small size and portability. But there are occasions when the unit needs to be left unattended for weeks at a time, or it needs to be securely fastened to a permanent structure to avoid theft, or it needs to be used outdoors and be subjected to the weather. 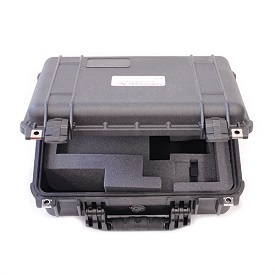 Our weather-resistant operating case provides the solution to these requirements.Any PowerSight meter will fit snugly into its die-cut foam and will not slip out, even when the case stands erect and the door is open. The cables are routed under and around the unit to exit the case on the right without interfering with the operation of the PowerSight meter. Weather-resistance is maintained by compressing high-grade low-memory foam around the opening. The sealing is sufficient for all but the most extreme conditions (such as being under water).It has space for any of our LDC line-to-DC converters to allow operating PowerSight from the power that is being monitored. 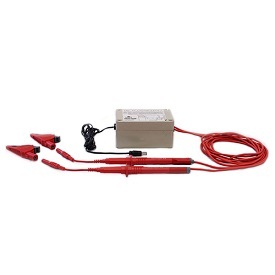 This is especially important for outdoor and rooftop installations that do not have a ready source of 120V or 240V power to run the charger for PowerSight. 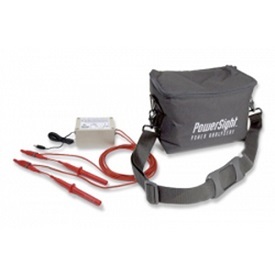 If the power being monitored is lost, PowerSight’s internal rechargeable batteries will bridge over the failure for 8 to 10 hours (6+ hours with the PS4000 or PS4500). Additional cutouts to hold the standard charger and communications accessories. 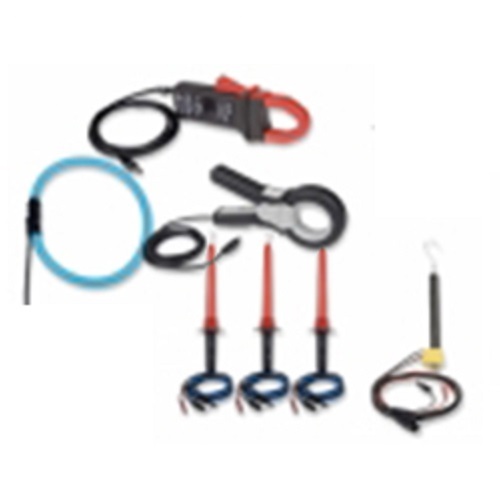 When the PowerSight unit is locked up in the CASW, communications can be maintained via wireless or serial communications cable that can be run out of the side of the case with the voltage leads. There is provision for two locks or chains. This can be used for locking the case shut, to eliminate tampering, or to lock it to a permanent fixture to discourage theft. The case is compact (13 x 16 x 7 inches) and comfortable to carry by its handle. It weighs 7 pounds.